George Orwell’s masterpiece is the definitive dystopian novel and one of the most influential works of the twentieth century. A never ending war. False scarcity. A ruling class obsessed with maintaining power for its own sake. Thoughtless and easily manipulated masses. A ever watching security state... War is peace. Freedom is slavery. Ignorance is strength... Reality is odder than this fiction. 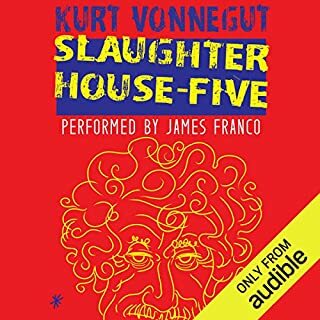 Fantastic version of the book.. The narrator gave a brilliant performance, really adding to the dreama of the story. Absolutely recommended. A alarming view into a dystopian future. This masterpiece had me listening avidly to a possible future that would scare the crap out of anyone. Narration was excellent. I thoroughly enjoyed this book. This was meant to be a warning, not a guide..
1984 is an insanely relevant novel in this day and age. I absolutely loved this. 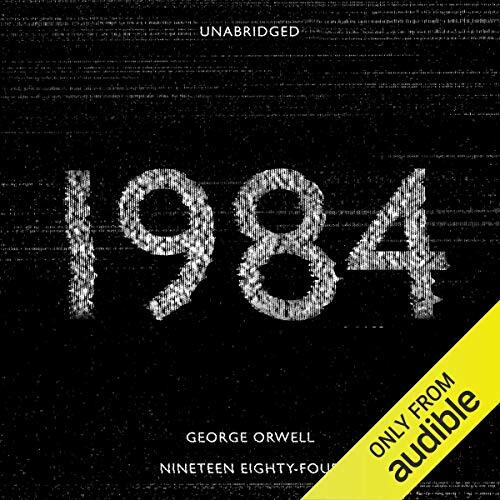 My first time reading 1984 and my very first audiobook. This story remains so relevant and the narration was excellent. This book is such a classic. every body should read or listen to it. defiantly resonates with today's society. A necessary classic that anyone who is actively engaged or involved in politics should read. 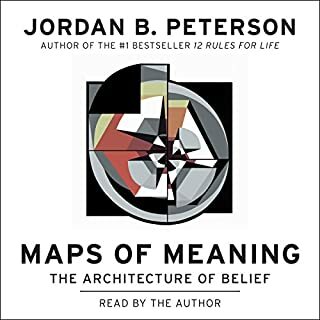 One of those books that everyome should read at some point in the audible easily digestible form. 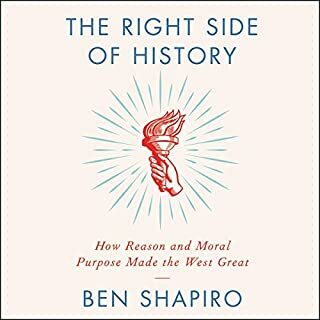 I really dont want to comment on the story as i dont want to unwittingly give anyrhing away, but everyone should read this book. A timeless classic that's very relevant for our current era of new speak and the like. Faultless narration. Wincott does an exceptional work. Must read book and should be there in your library always. It certainly is a classic. What makes it more special his wincott's narration. You can literally experience the fear of the author. The book is timeless because how Orwell predicted it in 1949 and the same can be seen happening now. State surveillance. What made the experience of listening to Nineteen Eighty-Four the most enjoyable? I felt I was with the narrator. Experiencing the pain and horror. Experiencing the thought process. I enjoyed how different the story of this book is. What other book might you compare Nineteen Eighty-Four to and why? None so far. This book is pretty unique. I had a great experience reading this. I believe I'm not qualified for reviewing such a masterpiece, so all I'd say is: that's a must read. Andrew Wincott's performance here is absolutely fitting into the atmosphere of the book. I can't imagine it could have been much better. Enter a world where our worst fears of political correctness have come to be reality. 1984 is the type of novel which you simply cannot endure hearing more of but written in such a way that you cannot tear yourself away from. Orwell has written this novel with such insight that you feel both depressed at its believability but in awe at the way it is told. 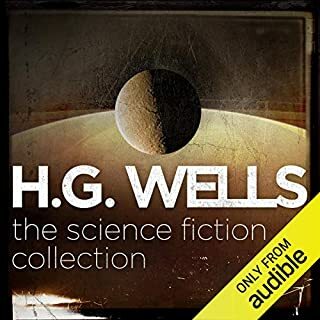 The narration is flawless and adds even more depth to the already perfectly written novel. 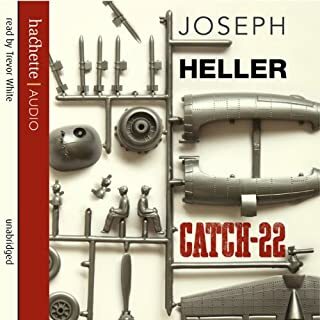 This is how all audio books should be! A classic. 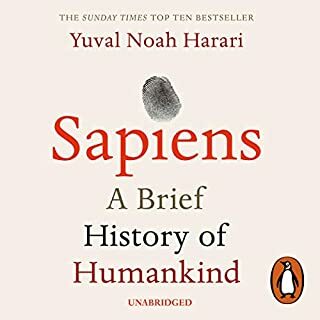 A cautionary tale of a totalitarian future, what it means to be human and an exploration of the tenuous nature we have with concepts like truth, reality and the past. Disturbing. Heard of fake news? This takes it all to the umphteenth level. Avoid listening to this if youre tired, so mamy points will just fly over your head. A superb book superbly read. 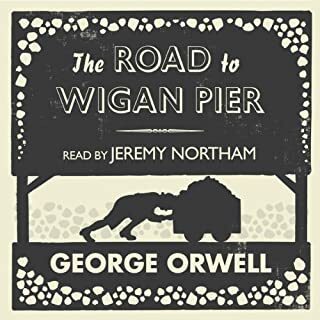 Looking forward to another Orwell book hopefully read by the same narrator. If you could sum up Nineteen Eighty-Four in three words, what would they be? What about Andrew Wincott’s performance did you like? This is a book everyone should read. 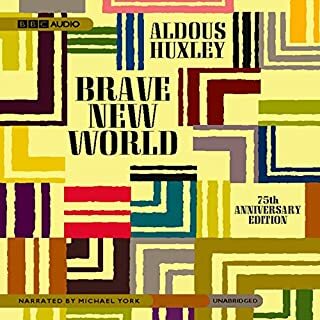 It is almost impossible to imagine that it was written in the 1940's, as it is so amazingly accurate in relation to the kind of world we now live in, with the intrusive surveillance, the invasion of privacy, the never ending wars and the constant barrage of self-serving propaganda we are subjected to by our respective Governments. 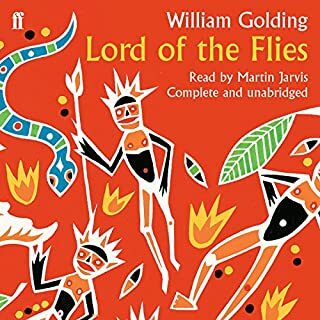 I read this book as a teenager and then listened to it again 30 years later as an audio book. It was only upon the second reading that I truly appreciated its true brilliance. It is one of the most spellbinding books I've ever read, Orwell was undoubtedly a genius and a prophet. If you look around, you can see all that he foretold...and more. Brilliant and timeless. Insightful, intelligent. The author had an deep understanding of human nature and seemed to be familiar with concepts and technologies that were in their infancy. He put Leonardo Da Vinci's helicopter in the shade. What did you like most about Nineteen Eighty-Four? This book is shockingly relevant, it resonates so strongly in the modern day. The poignancy of the story and the incredible way it is written makes it a must read for everyone. What was one of the most memorable moments of Nineteen Eighty-Four? Possibly Obrien is my favourite character, its his harsh personality that really brings the strength to this novel in terms of its authenticity. He makes no attempt to glamourise the rebels enterprise, instead he reflects the frank truth of the matter that in order to effect any change they will have to be brutal and its not going to be easy. 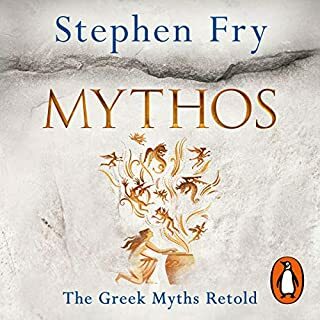 I was gripped all the way through this book, it was long and so I couldn't listen to it all at once- but I sure wanted to! There is only one favorite - Winston. Resolute despite adversity. I won't spoil what happens by adding my final thoughts on dear old Winston! What does Andrew Wincott bring to the story that you wouldn’t experience if you had only read the book? 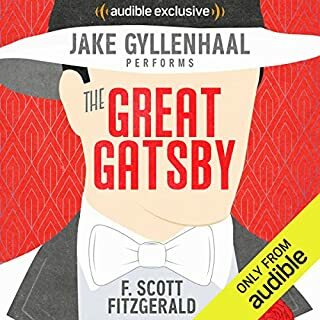 His vocal quality is perfect for this book! It suits the style and atmosphere of the book. Dark, mysterious and moody. 1984 is a thought provoking look at what could be. The date may be long gone, but don't be fooled into thinking that George Orwell's prediction of what might be is long gone! This book has a whole new meaning in light of the Edward Snowden revelations on Mass Surveillance. The characters are well written and fit perfectly into a descriptive and sterile world. Andrew Wincott's well spoken yet haunting tone, richly captures Winston's story and elevates it to sound realistic, truthful and emotional in a world where 'reality', 'truth' and 'emotion' do not exist. Of course Orwell's writing is incredible and prophetic, all of this praise goes without saying. However, if you love this, then Down and Out in Paris and London is fantastic, and I would highly recommend it! 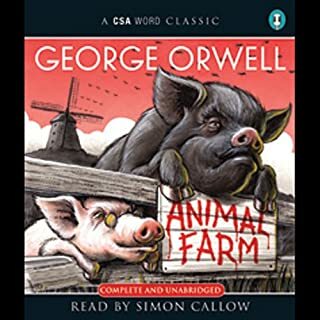 I've read all of Orwell's works, but I've decided to go through the audio books while studying him again at uni to spice it up a bit, and the theatricality and voice acting really brings something new to each story! Homage to Catalonia next for me! 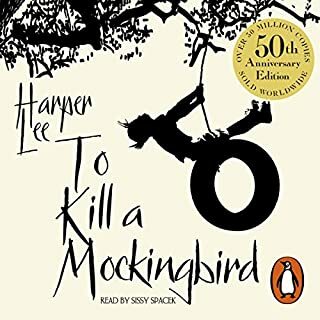 Despite its age, the story is still very relevant today, you can easily relate some of the thoughts in this book with modern day social and political conflicts. 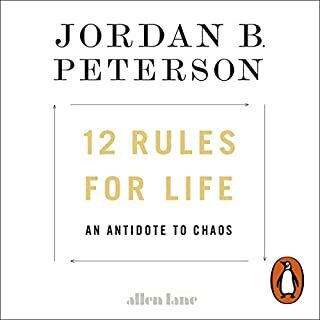 I think that it is a book everyone should either read or listen to at some point in their life, it has clearly inspired so many stories and worlds since it was written. 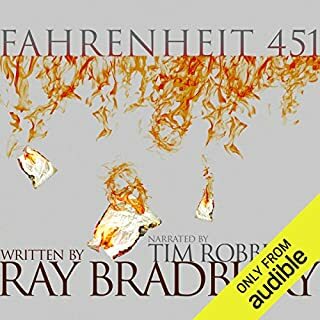 The performance was also good, read clearly with an interesting voice that goes well with the dystopian world of 1984 and distinctive voices for all characters. 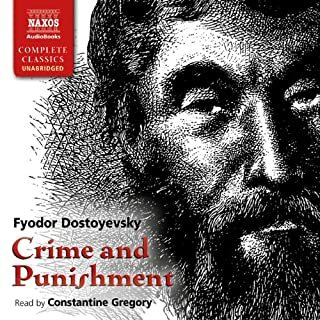 The narrator brings the characters alive and keeps you listening all the way to the end. The object of terrorism is terrorism. I had not read this book for years but it has been calling me to refresh it in my mind or test it against the reality of the future that never was but that almost is, a book that terrified me when I was young but informed me, inoculated me against accepting the belief that the ends justify the means, that power speaks for me, a book that taught me that the extremes are but reflections of of the desire to control to diminish the individual the singularity of thought or its possibility. 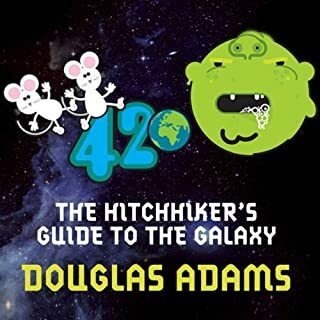 If you have not read this book you are missing one of the most influential pieces of modern political thought and the joy of discovering a book that has influenced the english language itself with its existence. A way of understanding the value of freedom, of defending the right of people to think and express their thoughts even when they insult one's beliefs; a parameter to distinguish what is totalitarian and an affront to the individual and its rights to express them in his or her life down to the most basic human acts like loving in freedom, without culture, religion or party regulating every aspect of your existence. "Of course he exists. The Party exists. Big Brother is the embodiment of the Party." "Does he exist in the same way as I exist?" If you have read it early in your life see how much your life has changed your perspective and how many tricks your memory has played with you. One thing is certain it will not disappoint you in any way. 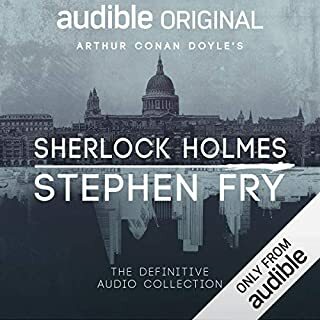 Andrew Wincott is a fantastic reader whose voice resembles Richard Burton adding a frisson to the reading especially when he impersonates O'Brien.